A nine member commission, the CWNLFC was established in 2007 and comprises natural, cultural and agricultural resource experts. The commissioners are volunteers appointed by the Honolulu City Council. The CWNLFC reviews projects submitted for funding and advises the City Council on annual project selections. The projects are then subject to the City’s annual budget process, and submitted for final approval and funding by the City Council and the Mayor. Honolulu voter approval of Charter Question 3 established a dedicated funding source for land conservation projects. Specifically, the charter amendment (Revised Charter of Honolulu (ROH), Section 9-204(a)) requires that 0.5% of all property taxes be set aside for land conservation projects in the City and County of Honolulu. 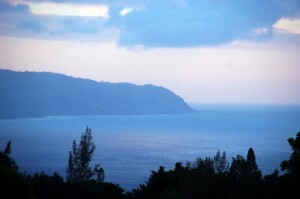 Further, the charter amendment explicitly states that funds be used to “acquire real estate or any interest therein for land conservation within the City and County of Honolulu for the following purposes: (i) protection of watershed lands to preserve water quality and water supply, (ii) preservation of forests, beaches, coastal areas and agricultural lands, (iii) public outdoor recreation and education, including access to beaches and mountains, (iv) preservation of historic or culturally important land areas and sites, (v) protection of significant habitats or ecosystems, including buffer zones, (vi) conservation of land in order to reduce erosion, floods, landslides, and runoff, and (vii) acquisition of public access to public land and open space”. 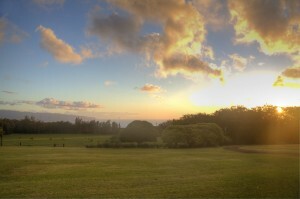 Sunset Ranch was blessed to have been recommended and approved for funding by the CWNLF in 2009. As stated in the LLCF blog, the project was also fortunate to recieve state and federal funding. Federal funding came from the Natural Resource Conservation Service (“NRCS”), a division of the United States Department of Agricultural (“USDA”), and the State of Hawaii funding came from the Legacy Land Conservation Fund (“LLCF”). The USDA contributed 50% to the project; the LLCF, 25%; and the CWNLF, 25%. The importance of financial leverage to land conservation projects cannot be overstated. In the case of Sunset Ranch, the CWNLF committed 25% of what otherwise would’ve been required without the financial leverage provided by the federal and state programs. This section was included as part of the LLCF blog, but it is worth repeating: Private conservation easements reduce land conservation project costs to state and local agencies even further. How? With a private conservation easement, the agency is no longer buying a fee simple interest in the fair market value of the land. Instead, the agency is purchasing a conservation easement that legally enforces the landowner to never subdivide. Said differenlty, the development rights of the property are stripped away in exchange for payment. Generally speaking, the value of a conservation easement (development rights) is typically between 40% to 50% of the value of a fee simple interest in the developable land. The obvious result here is that the agency is able to accomplish the objective of land conservation at a fraction of the price. Further, the responsiblilties of ongoing maintenance, management and liability remain with the land owner, and the property remains a revenue source to the county as the landowner is still required to pay property taxes. Factoring the benefits of financial leverage together with the structure of a private conservation easement, the CWNLF committed approximately 10% of what it otherwise would’ve had to commit to protect Sunset Ranch. This calculation does not consider the ongoing costs required to manage and maintain the property. This is why it is so important for Hawaii residents to be aware of these programs. Especially during these times when our state and county governments have limited financial resources. 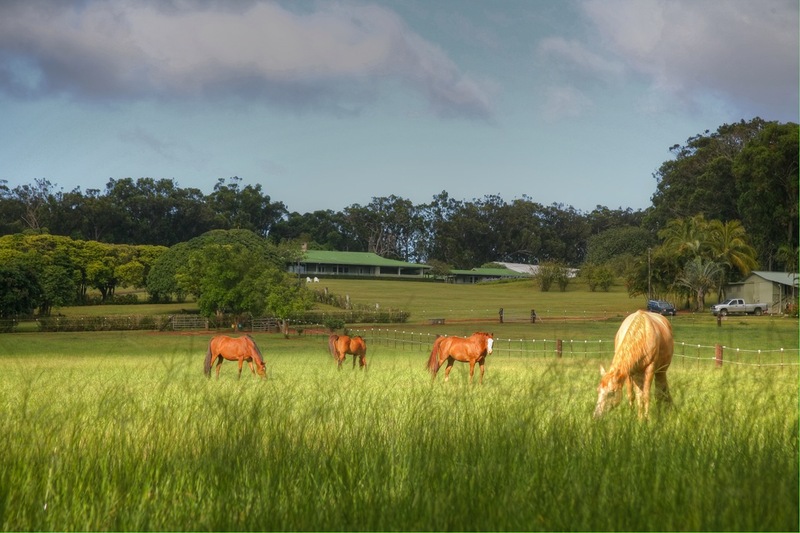 Sunset Ranch remains focused on its mission of helping advance land conservation in Hawaii through: (i) events, (ii) farming, (iii) a nursery, and (iv) horsemanship. Among other things, we believe these efforts will allow us to establish Sunset Ranch as a platform to effectively educate landowners, the local community and visitors on the importance of federal, state and county land conservation programs. Please contact us with any questions regarding the Clean Water and Natural Lands Fund. You can also learn more about the application and award selection process for the CWNLF here. The Honolulu City Council has approved funding for the following land conservation projects through the Clean Water and Natural Lands Fund: (i) Kukaniloko, (ii) Sunset Ranch, (iii) Honouliuli Preserve, (iv) Kunia Agricultural Research Station, and (v) the Fong Plantation. It is our understanding that, to date, Sunset Ranch remains the first and only project to have received funding from the CWNLF.